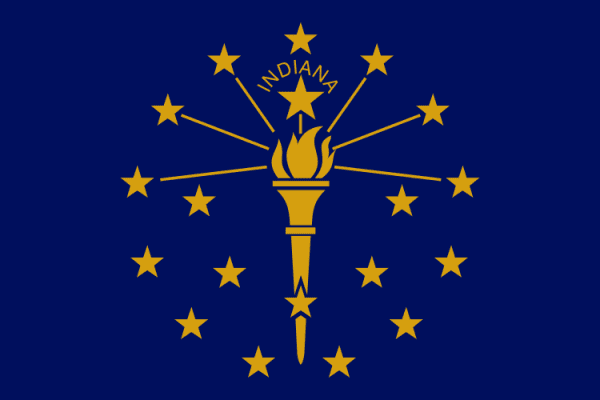 The 19th state to be voted into the Union, Indiana is has several valuable metro areas throughout it’s borders. Indiana is located in the Great Lakes region of the county and sit south of Michigan and east and west of Illinois and Ohio respectively. Ranked 38th in total size in the United States, Indiana also ranks 16th in population with over 6.5 million residents and also 16th for the density rank in the state. Nickname “The Hoosier State”, Indiana’s capital is Indianapolis and is also the most populous city and metro area. Indiana is also the smallest state in the contiguous United States west of the Appalachian Mountains. There is a diverse economy throughout the state with several metro areas that have a large population, along with smaller industrials towns. The capital of Indiana, the largest city and metro area is Indianapolis. The scrap yards in Indiana listed on the iScrap App can be found instantly when you check your region. Some scrap yards listed on the iScrap App have the ability to list their scrap prices on the directory, but some may not list all of their scrap prices. If you are looking for scrap prices in Indiana, the iScrap App is the place to look. If yards decide not to list their prices, users and scrappers can report and list the scrap prices they recently received from their yards. Users can easily find their scrap yards on the iScrap App and let others know what they were paid for metals like copper, steel, wire, and brass. Indiana’s economy is very strong and has a wide-variety of industries throughout the state like, pharmaceuticals, medical devices, automobiles, transportation equipment, energy products, and factory machinery. In addition, the north west region of Indiana is the largest steel producing areas in the United States. A majority of the workforce and manufacturing throughout the state relies on the steel market for the industrial machinery that is produced. Due to the high demand of steel for further production in the state, there should be no problem in finding the right locations to recycle your scrap metals. The Indiana scrap yards are listed on the iScrap App and can be found in populated regions like Indianapolis, outside Louisville, and Chicago. Be sure to search the iScrap App for scrap yards and auto wreckers in your area with your zip code or on the Indiana map above. You can see current scrap prices, request containers for job sites, ask for auto parts, and car pick ups. The Indiana Recycling Coalition is also a great source to find policies, news, and programs about the sustainable movements throughout the state of Indiana.